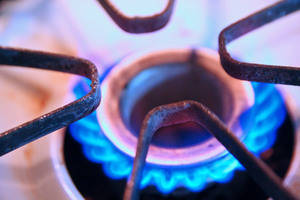 British Gas has launched a Mobile Energy app aimed at winning over more tech savvy customers. With smartphones becoming increasingly prominent in the UK, the energy company is targeting the likes of young students and 20-somethings, with the app providing ways for them to split bills more easily, telling the user exactly who owes what. It can also help predict likely energy costs and enter meter readings. Users will also be able to access their bill instantly as well as finding out when their next one will be. As students and 20-somethings often have to move house quite regularly, there is also a function to use the app to enter final meter readings from the old premises, before moving on to the new house. For customers with a complaint or question, the app will provide a function to receive an instant call back, rather than having to sit waiting on hold. However, British Gas commercial director, Will Orr, was aware of the issues around the collection of customers data. He said: "Like everyone in the mobile space, over time we will look at what the opportunities are in that area. "This is not a thing where we are trying to snaffle a load of data to do something bad with – we've got the Data Protection Act and we are in favour of Midata, and we've got data on 12.5 million customers at British Gas and we are very respectful of that." British Gas is part of the government's Green Deal scheme. Under the initiative, some energy customers can receive cashback on items such as a replacement boiler, while others are able to seek a low-interest loan on items such as loft and wall insulation - money they pay back, at a rate equivalent to the money they save on energy bills.